We take a look at the top performers from game week 27 of Sky Sports Fantasy Football. Have any of your XI made the Team of the Week? Jamie Vardy had a chance to score when he came on to take the penalty with his first touch at Wembley, but Hugo Lloris had other ideas. He earned half of his points from that save and attained a tier two saves bonus with the eight that he produced. Lloris now has 19 Fantasy Football points from his last two fixtures. The Watford defender has amassed 34 points from his last four Premier League matches, averaging 8.5 per match in that spell. Only a shrewd 2.6 per cent of Sky Sports Fantasy Football managers have benefited from selecting Craig Cathcart, in which time has scored two goals, kept consecutive clean sheets and earned a Sky Sports Man of the Match award. Joel Matip has partnered Virgil van Dijk in place of the injured Dejan Lovren and Joe Gomez, and he is taking his chance in Jurgen Klopp's side. For the fourth successive week, the centre-back has registered a tier two passing bonus points and earned a much-needed clean sheet for Liverpool against Bournemouth, as well as reaching a tier one tackle bonus. Willy Boly was not in line to make the Fantasy Team of the Week until he met Adama Traore's cross in the 95th minute, earning Wolves a point and reaching double figures for Fantasy points in the process. His tier two passing bonus points also rewarded the 10.6 per cent of Sky Sports Fantasy Football bosses who recruited the Wolves defender. Boly is the cheapest player out of the Fantasy Team of the Week. Bamba kept a second clean sheet in succession for Neil Warnock's team and now has five in eight. 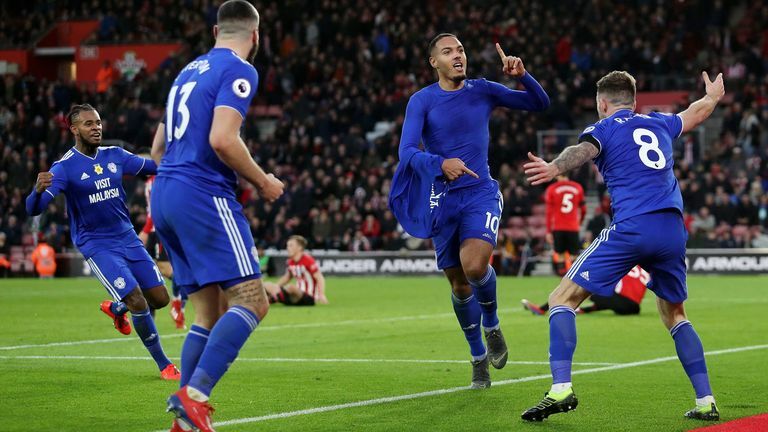 He scored the opening goal for Southampton, complete with an emphatic celebration with the fans and earned an MOTM award for his performance - his second of the season. The England international has contributed to eight goals in his last eight Premier League encounters (three goals, five assists), racking up 47 points, which is just under six per game. Only 13.7 per cent reaped the rewards of having Raheem Sterling in their side, with the City winger now standing in seventh place in the overall Fantasy Football points chart. The Denmark international has contributed to four goals in his last six matches (one goal, three assists) and it is the fourth time he has registered double figures in a fixture this term for Fantasy points, although it is his largest haul for the season thus far. His goal and assist earned a MOTM award, picking up his second in six games. Georginio Wijnaldum collected his highest points tally of the season against Bournemouth, as his wonder goal - combined with his solid display - was enough to see him crowned MOTM. He earned 14.9 per cent of his overall Fantasy Football total (87) due to his performance on Saturday, although only one per cent of Sky Sports Fantasy Football managers would have benefited from this. 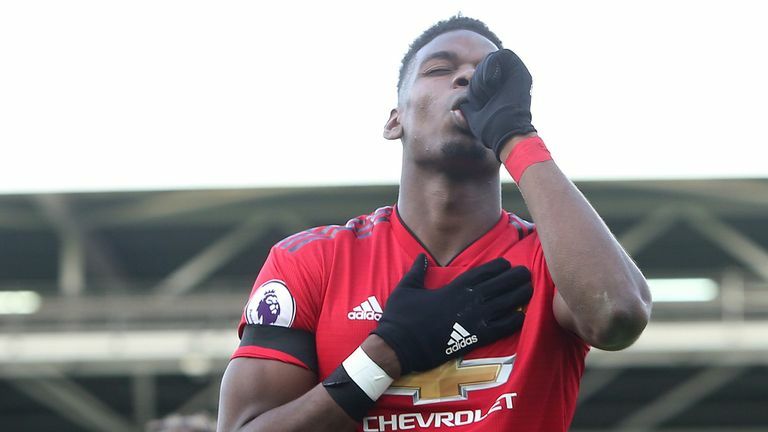 In the nine Premier League games Ole Gunnar Solskjaer has managed, Paul Pogba has contributed to 13 goals, with eight strikes and five assists. In this time, he has amassed 115 points, averaging 12.8 points per match, bettered by no other player in that period. Pogba has now featured in the Fantasy Team of the Week four times out of a possible seven. The Burnley striker scored twice in his side's win over Brighton, extending their unbeaten run to seven matches. Chris Wood bragged 17 points from this meeting, which accounts for 21.8 per cent of his overall total this term. Unsurprisingly, the New Zealand international earned his first MOTM award of the season with this fine performance. A second hat-trick in three matches means that Sergio Aguero takes his place in the Fantasy Team of the Week for a second time in a row. Aguero now has 17 goals for the season and is currently tied with Mohamed Salah in the race for the Premier League Golden Boot. Aguero is now in 26.5 per cent of Sky Sports Fantasy Football teams and for good reason.